Natural Disasters and Rates of Suicide: A Connection? infoExchange is an original resource that examines topics relating to suicide in a way that encourages conversation, written in an editorial style. 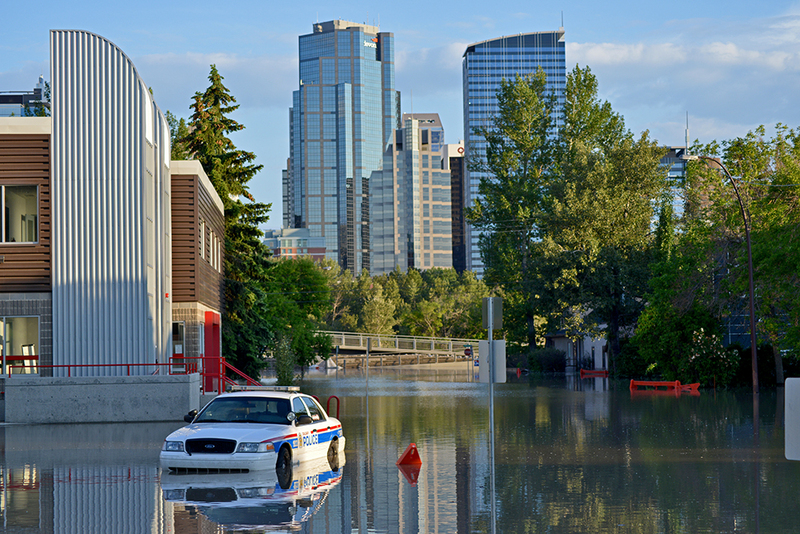 In June of 2013, Calgary and many parts of southern Alberta experienced a catastrophic flash flood. It has been officially touted as the most costly natural disaster in Canada’s history. 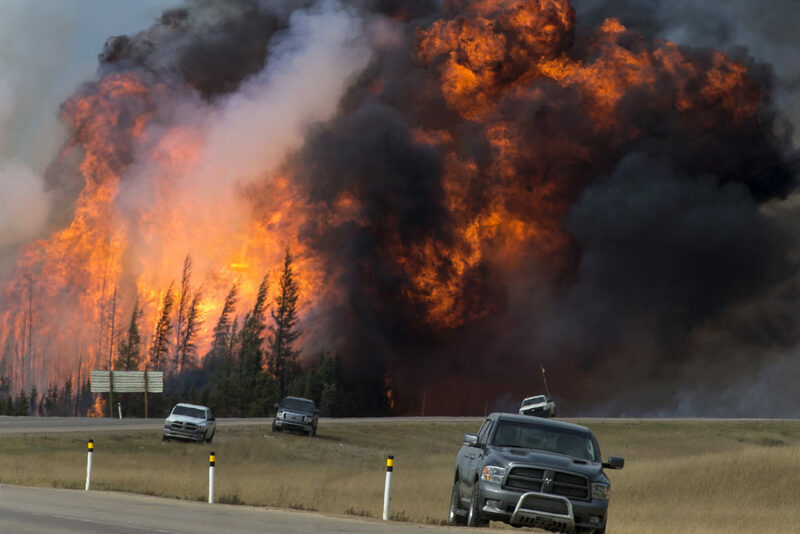 The property damage and the havoc it wrought on the emotional and psychological well-being of many Albertans was immense. 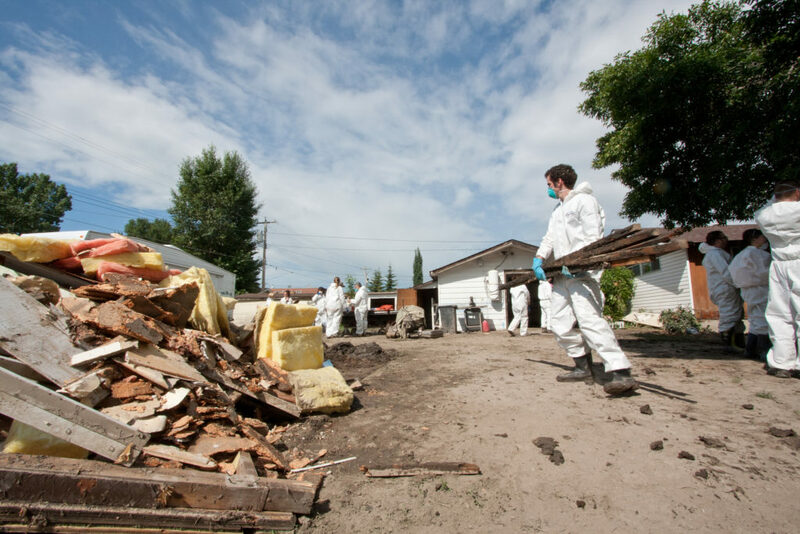 Yet amid the despair, ordinary Albertans – those who were directly affected by the flood and those who were not – pulled together to combat the stress caused by displacement and material loss. Volunteers, victims, and perfect strangers put aside self-interest and helped one another clean up the monumental mess. After the shock of the initial disaster, a state of normalcy started to slowly return to the city. I, and I’m sure many others, could not help but think of what lay ahead for those most severely displaced. Many people lost their homes or businesses. High River residents had the surreal experience of witnessing their entire town submerged in water. Would the victims of this freak natural disaster experience long-term psychological damage? Many had to be relocated to temporary housing and the spirit of cooperation and harmony shown by so many in the early days of the flood seemed to follow them there. But would these positive and hopeful feelings diminish over the weeks and months to come, and be replaced by frustration, anger, or desperation? Would there be a rise in domestic abuse, as frustration turned to violence? Would depression increase and cause a consequent spike in suicidal threats and suicidal actions? Ultimately, these questions prompt a larger and more general question: Is there a relationship between peoples’ exposure to natural disasters and the incidence of suicide? Natural disasters are great levelers as they spare no one. Of course, in developed nations we are much better equipped to deal with the onset of a disaster. Richer nations have the resources to make investments in infrastructure which can help mitigate the negative impacts that disasters might bring. As a result, the mortality rates attributed to disasters have been steadily decreasing in industrialized countries. Conversely, in developing countries, disasters of similar ferocity often result in widespread injury and death (Kahn, 2003). Is there a relationship between peoples’ exposure to natural disasters and the incidence of suicide? This is not to say that we, in the western world, are immune to Mother Nature’s force. When a major disaster occurs here, often the most severe consequences – irrespective of economic costs – are manifested in psychological and emotional terms. Unsurprisingly, the cases of Post-Traumatic Stress Disorder (PTSD) spike after such an event. Traumatic reactions to disasters can also be seen in developing counties. However, a Eurocentric mental health bias may overemphasize its prevalence. Cultural differences help explain why particular protective factors are present in one society and non-existent in another. These cultural differences are often forgotten when western mental health attitudes and assumptions are projected onto developing nations, as described below. The mortality rates attributed to disasters have been steadily decreasing in industrialized countries. Conversely, in developing countries, disasters of similar ferocity often result in widespread injury and death. Sri Lanka was hit hard by the horrific tsunami of 2004. A journalistic “exposé” by Ethan Watters stated that an “army” of psychologists from the west were dispatched to the island, anticipating an epidemic of PTSD. When they arrived, however, the health care workers discovered a resilience among Sri Lankans to adapt to the disaster that they simply did not anticipate (Watters, 2010). Conventional and accepted wisdom regarding the matter dictated that the normal human response to such devastation was widespread trauma. But the incidence of PTSD among the Sri Lankan victims turned out to be incredibly low, despite the enormous magnitude of the disaster. Similar anecdotal reports came from the Philippines during Typhoon Haiyan in 2013. A very strong sense of social connectedness among the citizens of Sri Lanka and the Philippines was clearly present in these reports, as was the prevalence of many other effective protective factors. What does academic research tell us about the relationship between suicide and natural disasters? Some of the more noteworthy studies in this area are cited below. In a study by Kessler (2008) concerning the effects of Hurricane Katrina, 30% of those from the New Orleans Metropolitan area and 12% of those from the affected areas in Mississippi and Alabama were estimated to have suffered PTSD. The study also found that PTSD symptoms and suicidality increased after a one year term and persisted beyond a 2-year period, but that the symptoms tended to subside after that time frame. Madianos (2010), conducting a longitudinal study of the effects of earthquakes on the citizens of Greece, concluded that citizens suffered “Massive acute stress reactions, PTSD, and an accumulation of depressive and anxiety symptoms” (p.138). Not surprisingly, the closer one was to the epicenter of a given quake, the higher the incidence of PTSD and other stressors. Chou, et al. (2003), examining earthquakes in Taiwan from 1983 to 2001, discovered an increase in male suicidality, but not a significant change in the incidence of female suicides. A study by Krug published in the venerable New England Journal of Medicine in 1998 received a lot of media attention because he and his team claimed that suicides rose sharply in various American counties after incidences of selected floods, earthquakes, and tornadoes. In some counties he noticed increases in suicide as high as 65% These results suggest that natural disasters definitely lead to an increase in suicide rates. Notoriously, a year later, he and his colleagues had to retract all claims made in the study because it was discovered that there were mathematical inaccuracies in the accumulation of the data. A repeat empirical analysis concluded that there was, in fact, no significant increase in suicide rates after natural disasters. Nishio (2009) found that after the 1995 Hanshin-Awaji earthquake in Japan, the overall suicide rate actually dropped in the two years following the quake. Curiously, the ones most affected by suicide in this study were middle aged males who are normally the highest at-risk group. Similar results were found after the Northridge earthquake in Los Angeles County in a study by Shoaf (2004). For three years after the quake suicide rates dropped significantly, and, as in Japan, the people most directly affected were middle-aged males. So why do these discrepancies exist? Matsubayashi posits that when a disaster is extremely large, suicide rates tend to increase immediately after the disaster and possibly for several years later. “Disasters can have a lagged effect (on people) because social connectedness is likely to evolve incrementally in the period of post-disaster” (2013, p.127). However, he further states that social connectedness alone will not offset the long-term outcomes of a severe disaster, and that the negative psychological effects might not emerge until years after it occurs. Madianos and Evi (2012) concluded that, at least in the short term, there is often a drop in suicide rates in the immediate aftermath of a disaster. They attribute this to “the honeymoon” period, or what Gordon (2011) calls the “pulling together” phenomenon. I believe that evidence of this phenomenon can be seen in the decline in male suicide rates in the previously cited examples of Japan and Los Angeles. Males who may have been at risk for suicide in “normal” circumstances might find themselves with a renewed sense of vigor and purpose in the wake of a disaster. Personal torment or anxieties are then temporarily ignored and replaced by the feelings of acceptance and self-worth that a collective struggle can provide. In the short term, there is often a drop in suicide rates in the immediate aftermath of a disaster. By this rationale, then, it is probably far too soon to accurately ascertain the long-term effects that the Alberta flood has had on its victims. However, early anecdotal evidence seems to support that a similar honeymoon phase may have occurred. Distress Centre Calgary (DCC), a Calgary-based crisis center, reported that, initially following the flood, the majority of calls concerned shelter and housing issues followed by family problems and financial concerns. This same pattern continued for almost a month following the flood. They then recorded a spike in calls which are known as high-risk calls, or “Calls made by DCC to emergency services on behalf of callers who are either at risk or who pose a risk to others”. These calls increased over the summer months, peaking in mid-August. Mental health issues were definitely a concern throughout this tense period, but it was not until the beginning of September – two and a half months after the flood – that suicide-related issues began to comprise a major percentage of crisis calls. From September 1-15, 29.2% of all flood-related calls to the DCC were of a suicidal nature. From September 15-30, tha percentage rose to 34.8% (personal communication, 2013). One could argue, of course, that there could be innumerable reasons for this increase in suicidal crisis calls. However, one could also easily infer that the rise in calls seems to adhere to the “lagged effect” of suicide mentioned above. …it was not until the beginning of September – two and a half months after the flood – that suicide-related issues began to comprise a major percentage of crisis calls. The number of suicide-specific crisis calls reportedly has leveled off since the results of this report were recorded. Calls related to domestic violence, housing and shelter, however, have not (personal communication, 2013). The long-term effects on mental health – specifically depression and (by implication) suicidality – are extremely hard to predict. Albertans are widely known and appreciated for their resilience. Unfortunately, however, the effect that the harrowing flood of 2013 had on the victims it hurt the most may resonate for some time to come. Chou,Y., et al.(2003). Suicides after the 1999 Taiwan earthquake. International Journal of Epidemiology, 32(6),1007-1014. Kessler,R., et al. (2008). Trends in mental illness and suicidality after Hurricane Katrina. Molecular Psychiatry, 13, 374-384. Krug,E., et al.(1998). Suicide after natural disasters. New England Journal of Medicine, 338, 373-378. Matsubayashi, T.,Sawada, Y. and Ueda, M.(2013). Natural disasters and suicide: Evidence from Japan. Social Science & Medicine, 82,126-133. Shoaf, K., et al. (2004). Suicides in Los Angeles County in relation to the Northridge earthquake. Prehospital and Disaster Medicine, 19, 307-310. Watters, E. (2010). Crazy like us: The globalization of the American psyche. New York: Free Press.